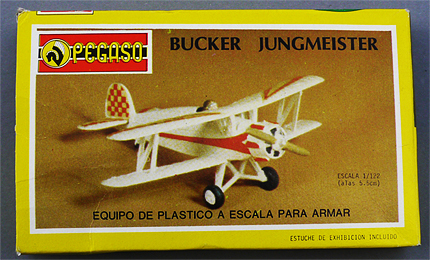 I ceased building kits at the end of the 60´s. All these kits have been lost. At the end of the 70´s / begnning of the 80's I collected kits of civil prop aircraft and post war military jets of the 50´s. Contrary to the early 50's and 60's "kits I remember" , these unbuilt kits are present and intact, resting savely in big packing cases for about 30 years and wait to be presented here. Being a fanatic aircraft type collector, I naturally expanded the scope further while collecting kits in my reappraisal of my early modelling history of the 50´s and 60´s. Getting in contact with the model kit world again tempted me to buy and collect plastic kits developed and issued after 1970 even contemporary ones as new, which do not have any connection to my modelling past. Stress was on favorite types of aircraft, with the ultimate goal to build them and not to collect them for nostalgia and historical interest as with pre 1970's kits. That held when I created this subpage in 2005. In the meantime I'm so absorbed with the 50's and 60's kits, especially with rather unknown brands, that this 1970's up section lags very much behind and will updated only occasionally. I have stopped to buy new and used "1970 up to now" kits for years.